Kid to Kid Fill a Bag Sale TODAY ONLY! Welcome to NoBSMom.com Not your ordinary Mom site…. 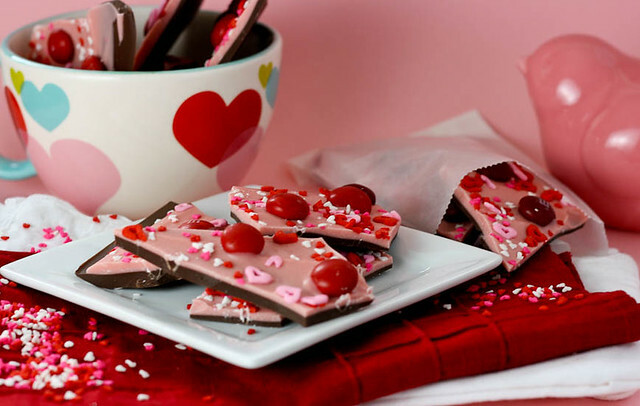 This Chocolate Cherry Bark was inspired by the Chocolate Cherry Valentines Day M&Ms. It’s really quick and easy to throw together and would look super cute in little cello bags tied with a ribbon. Cherry M&Ms. I bought mine at Target. 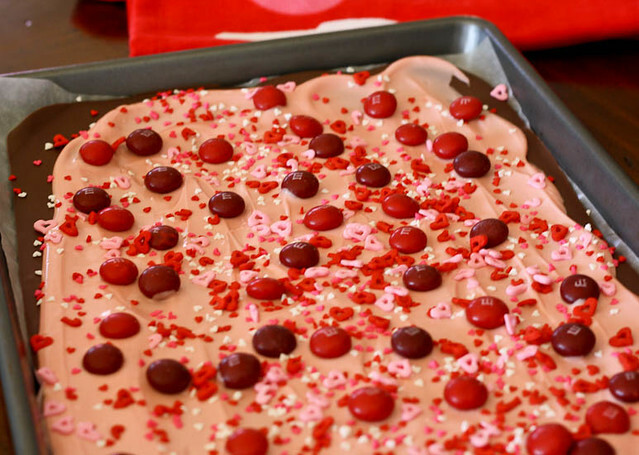 Assorted heart sprinkles and cherry candy flavoring. Be sure to use candy flavoring and NOT EXTRACT. Candy flavoring is oil based and will not make your chocolate seize up. 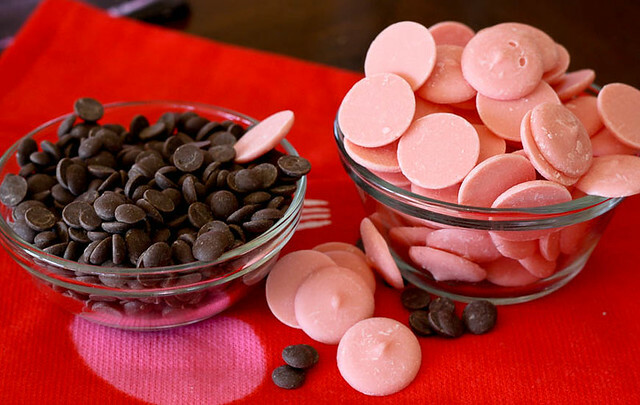 About 2 cups each of Pink Candy Melts and Dark Chocolate Candy Melts. Notice that my Dark Chocolate Candy Melts are a different size. That is because they are Chocomaker Wafers that are for candy making OR chocolate fountains. These wafers melt much more quickly and smoothly than regular candy melts and I use them often. I buy mine at Walmart or Hobby Lobby. Melt the dark chocolate in the microwave according to package directions. 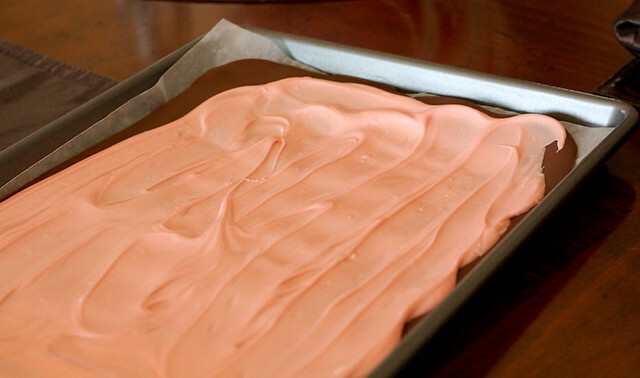 Spread on a large baking sheet that is lined with wax paper. Place in the refrigerator to harden. Melt pink candy melts according to package directions. Stir in about 1/4 teaspoon of cherry candy flavoring (or more to taste). 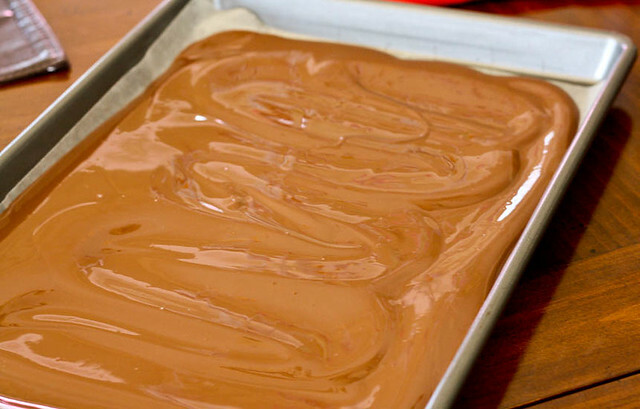 Spread melted candy over the chocolate. Immediately sprinkle with candy and sprinkles. Place pan back in the refrigerator until set, then break into pieces. 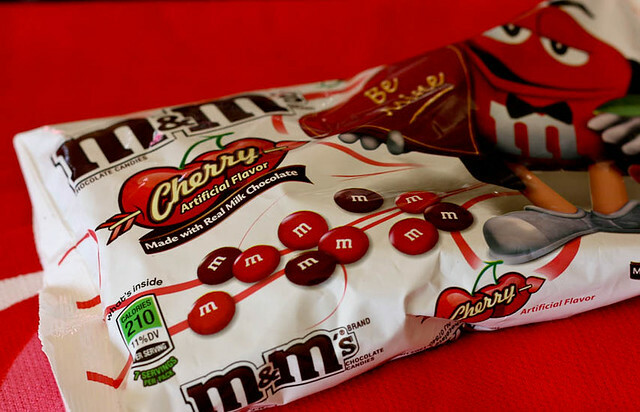 If cherry isn’t your thing, omit the cherry candy flavoring and use regular M&Ms instead. They have the plain ones in pretty Valentines Day colors too. To find this and other awesome recipes.. check out Confessions of a Cookbook Queen by clicking here!